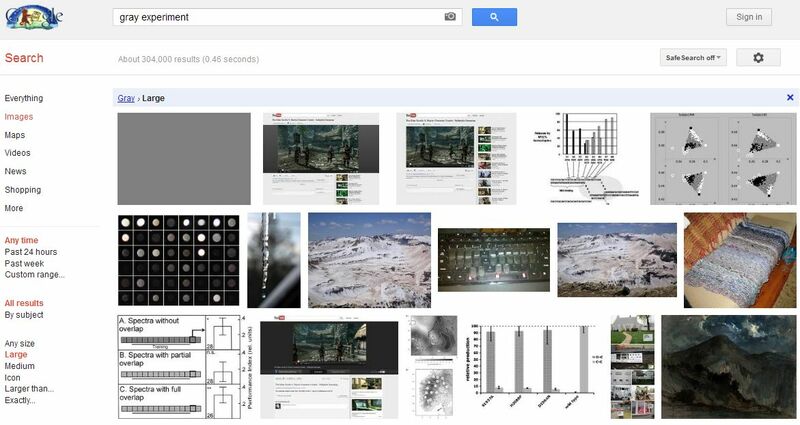 Google has changed the way image search results are presented. This is having a major impact on traffic driven to sites from image search results. With Google trying to keep visitors away from your site, what can be done ? This post shows one way to make the most of the space Google now gives an image. When Google crawls the image, it will take the entire image including the border and calls to action within. This will enable both brand impressions and marketing messages to be shown to people using Google image search, so even if you can’t get the visit, you can at least claim some mind share. 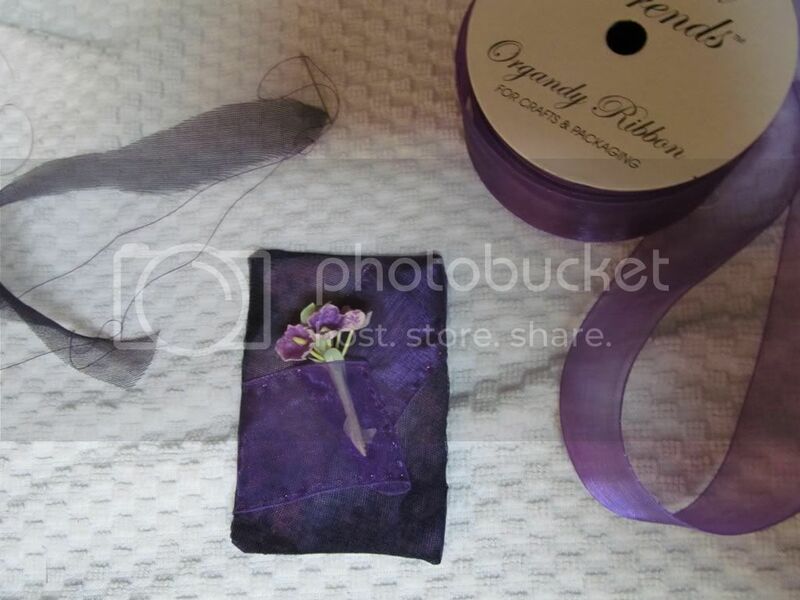 The following example using an out of focus bee settling on a lavender plant, shows how to use CSS to control the visible area of the photo. 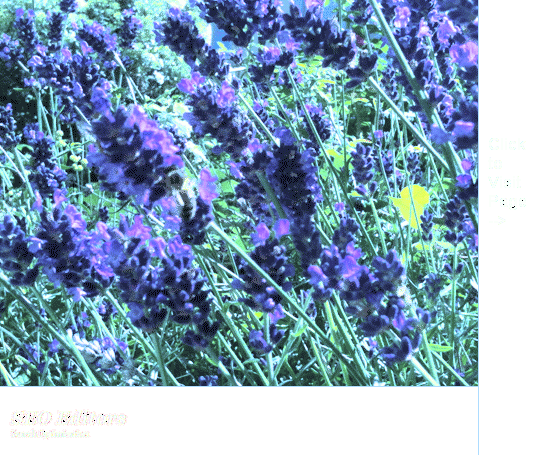 <img class="size-full wp-image-363" title="Bees on lavender"
Click on the image above to see the full size photo of the bees on the lavender, including the additional border. The border is transparent to maximize the appearance of the CTA within Google image results. If you try searching in Google for this image, you should see the image complete with calls to action. Give it a go and let me know what you think about this technique. 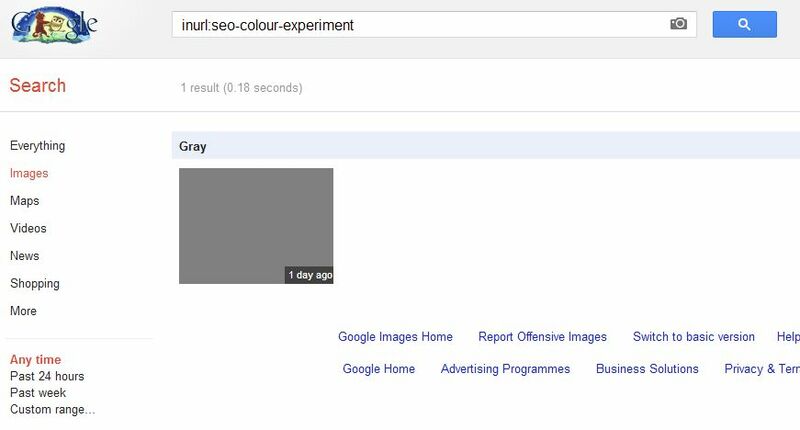 The Google images experiment has been running for 4 days, and so far, just two of the ten images published in the previous post (laying out the details of the experiment) have been indexed; namely the purple image and the gray image. What else is interesting so far ? 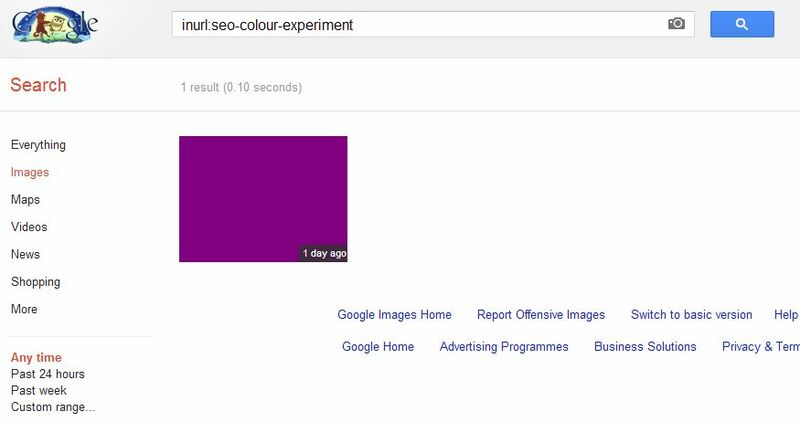 Searching using the keyword ‘experiment’ and then filtering for ‘large’ images and selecting ‘purple’ images shows our test image in #1 as might have been predicted ! 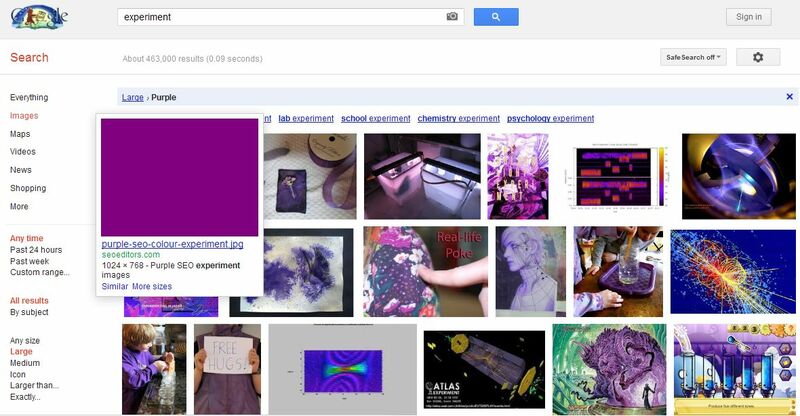 After all, it was a large purple image with ‘experiment’ in both the filename and alt text. 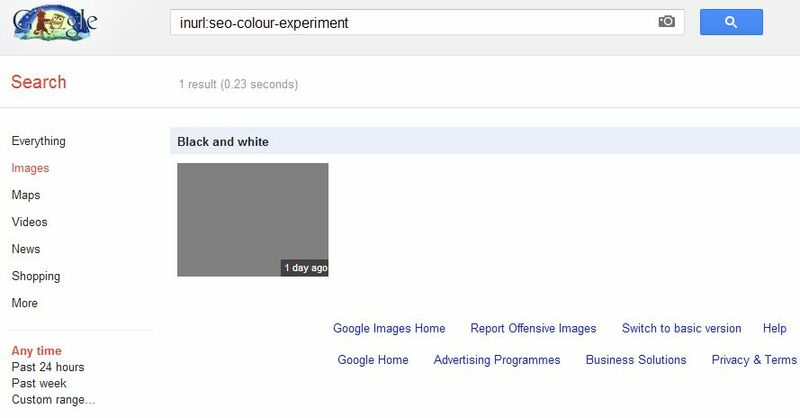 So the obvious difference is that the test image had the keyword ‘purple’ as well as well as the word ‘experiment’ in the filename. What about the gray image ? 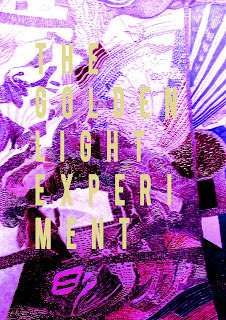 The test image from this blog for the keyword ‘experiment’ performs quite well given the competition here ! Positions #2 and #3 discuss the YouTube ‘gray’ channel theme. 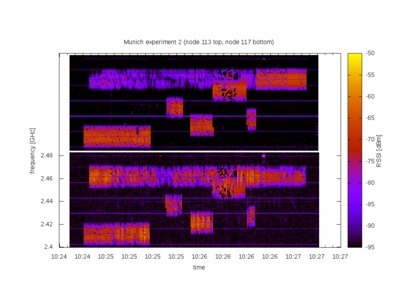 At this stage, not many more insights are possible so I will return to this experiment in a few days time when more of the original set of images may have been indexed.